The 2016 Australian Open, a world famous tennis tournament, took place from January 18 to 31 in Melbourne, Australia. Novak Djokovic (from Serbia, image) beat Andy Murray (from UK) to win the men’s singles title. This was his 6th Australian Open title. In fact, Murray and Djokovic had contested the Australian Open final in 2015, 2013, and 2011, with Djokovic the winner all three times. Will they both be playing in the final again in 2017? 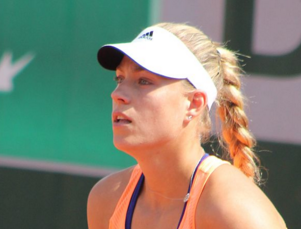 The women’s singles winner was Angelique Kerber (from Germany, image). She beat Serena Williams (from the United States). It was Kerber’s first Australian Open title. The Australian Open is held every January and is one of the four Grand Slam tennis tournaments (the other three are the French Open, US Open, and Wimbledon). Here is a video with some highlights from the tournament. Q: Why was the tennis court so loud? Australia is a large country. It is the 6th largest nation in the world (by area). Over 80% of Australians live within 50 kilometers (30 miles) of the coastline of the country.